Monday 19th March 2012 sees the resumption of the retrial of the University of Bahrain students sentenced to prison terms of up to 15 years for alleged crimes in relation to the 13th March 2011 incident. These young men must be freed if meaningful higher education has a future in Bahrain. This post suggests a general amnesty for all those involved in the 13th March incident is the only way forward. Throughout the Middle East and North Africa (MENA) region, higher education institutions are in dire need of root and branch reform if the poorer countries of the region are to lift themselves out of poverty, and the GCC countries wean themselves off an economic dependency on oil and gas reserves and bought-in foreign expertise. Higher education reform is essential if the region is to see sustainable long-term development in an unpredictably changing C21st, since throughout the region the existing HE systems have conspicuously failed to supply the kind of higher education needed to enable young people to fulfill their potential. This is a terrible indictment of the warped priorities of the GCC region’s monarchical dictatorships, which have singularly failed to understand the central importance of a robust indigenous higher education system in achieving long-term, sustainable social and economic development. Lest it be argued that the Times Higher Education rankings are biased towards “the West” (wherever that is supposed to be), notice that the top 100 contains universities from Hong Kong, Japan, the People’s Republic of China, Singapore, and South Korea. The countries of the MENA region, particularly the Arabic-speaking MENA, clearly have a lot of catching up to do. There are many reasons for the failure of universities in the wider MENA region and the GCC in particular: out-dated curricula, antiquated teaching methods, an over-dependence of memorization and assessment by final exam, a failure to develop students’ skills-set, a lack of investment compounded by financial mismanagment and corruption, an inability to conduct original research or even to truly understand what innovative research IS in the C21st, poor training and preparation of faculty and management. But all of these reasons for failure return to one underpinning cause: the interference of the authoritarian state in the day-to-day running of the regions universities. If the region’s universities are ever to begin to become competitive internationally (and therefore if the region’s graduates are ever going to compete on equal terms to their peers in the West and the Far East), the state has to get off campus, get out of curricula, get out of classrooms, get out of university administration, get out of the mindset of faculty and students to that real learning and real research can take place. Bahrain 2030, at least as originally conceived, grasped the essential truth, and autonomy for Bahrain Teachers College within the University of Bahrain system, and independence for Bahrain Polytechnic outside of it were considered to be the essential prerequisites of a reformed higher education system that really was fit to face the challenges of the C21st. Without independence, the new 2030 institutions would simply revert to being extensions of a state system whose prime interest was in its self-perpetuation, not in the education and future of its students. The University of Bahrain provided a prime example of what was wrong with state-sector higher education in the GCC region. Many curricula were hopelessly out-of-date, learning was a one-way, tutor-centred process where students sat passively while they remembered unless, often irrelevant facts to be memorized, repeated in a final exam, then forgotten. Compulsory courses in Islamic Studies and the History of Bahrain were designed to enforce the Bahrain regime’s claims to religious and historical legitimacy, with the ‘correct’ answers being against the religious and political opinions of many, perhaps most Bahraini students. In short, the UoB system was designed to produce ‘disciplined subjects’ in much the same way as a prison or the military, rather than graduate empowered, creative, critical-thinking, problem-solving students. The system dressed up the reinforcement of social passivity and helplessness in academic gowns. Most of us involved in the start up of BTC and BP hoped that the success of these projects would lead to a domino effect, in which the rest of the country’s state-sector institutions would achieve the independence from the state that is a necessary precondition of meaningful higher education. Yet despite all this, it still remained possible for international higher education institutions to work profitably with the UoB. Here and there it was possible to make real, positive changes. 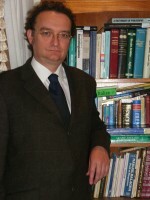 For example, the improvements in teaching and learning at the UoB brought about through the delivery of York St. John University’s Postgraduate Certificate in Academic Practice, this was a professional development course for UoB faculty, linked to the UK Higher Education Academy’s Professional Standards Framework in Teaching and Learning in Higher Education. Traditionally, university academics were subject experts, but not necessarily teachers. PCAP was designed to ensure all faculty members developed effective teaching skills. It was hoped that this, and the UoB’s 2030-influenced 2009-2014 Strategic Plan would enable a critical mass of reforms that would bring about a transformation of higher education. So although the UoB was essentially an arm of the state, it was still possible for international consultants to work with it. All this changed on 13th March, when the UoB changed from merely being an arm of the state to being an active part of the state’s repressive apparatus. What happened on 13th March 2011 was brutally simple. Students had to be “taught a lesson”, so a gang that included out-of-uniform police and military, and “loyalist” athletes, body-builders, thugs, known street-fighters and criminals, and sectrain religious fanatics — in short macho men bullies — were allowed on to campus to teach that lesson. Their victims were undergraduate students, mainly women, mainly aged 18-21. The young men who tried to defend them were mostly thin, studious students with more interest in the library than the gym. Unsurprisingly, these young people called in help from older relatives to protect them in the isolated Al Sakhir campus. When these arrived, a general melee ensued. While crimes were committed by both sides, pro- and anti-regime, the anti-regime violence was at first defensive, later reactive. Did the higher administration of the University of Bahrain actively collude with what happened? I cannot in all honesty say that I have evidence of this, although the attack on Sunday morning was obviously pre-planned and co-ordinated by somebody. At the very minimum, the higher administration of the UoB, from the President downwards are in my view guilty of a negligent failure to anticipate and control how events on campus were developing throughout February and March 2011, and guilty of a failure to provide for the well-being and safety of the whole student body. What the UoB management undoubtedly are guilty of is complicity in the state suppression of student and faculty dissent in the period following 13th March 2011 in a manner that transgresses all accepted norms of academic freedom. This includes on-campus interrogation, the seizing of students’ and faculty’s electronic equipment, surveillance of students and faculty’s electronic communications, the use of denunciation and intimidation in a systematic manner, mass suspensions and sackings, forcing the signing of loyalty oaths, and the criminalisation of dissent. By far the worst manifestation of this complicity in repression is the UoB’s complicity in jailing students for up to 15 years. Against this background, it is impossible for any serious international university, accreditation agency, or learned or professional institution to have any kind of relationship with the University of Bahrain, the Ministry of Education, or any state-sector Bahraini education institution, since these have been actively complicit in the suppression not only of academic freedom, but also of basic human rights. My experience in Bahrain has taught me that no education reform worthy of the name is possible under conditions of dictatorship. Any attempt at reform in such circumstances is at best a wasteful effort, at worse a legitimization of the regime. For education reform to work, more fundamental social and political reform has to take place first before any involvement with Bahrain can be considered. I suggest that a general amnesty for all those involved in the 13th March incident would signal to the world that Bahrain is at least prepared to consider change. De facto, there already has been an amnesty, for pro-regime people. Copious photographic, video and eye-witness testimony provides a strong prima facie case against a number of pro-regime individuals who were armed, on-campus that day carrying out serious crimes of violence against students there. But none have ever been brought to justice, some even boast openly that “the government covers my back”. Against this background, the imprisonment of allegedly anti-regime students for terms of up to 15 years is an obscenity. One way forward, as a step towards real truth and reconciliation in Bahrain would be a de jure amnesty for ALL, pro- and anti-regime, who were involved in the 13th March incident. Thus pro-regime thugs who have escaped prosecution would have escaped it not because of a sectarian culture of impunity, but because of a legal amnesty. In parallel, students who have suffered imprisonment should be financially compensated and reinstated at the university, not as a reward for crimes they are alleged to have committed, but out of recognition that the so-called “National Safety Courts” dispensed justice in a manner what was arbitrary, biased, and unevenhanded. Such an amnesty would allow higher education to turn a page in Bahrain, and set a precedent for similar truth and reconciliation moves in other sectors of Bahrain society, creating the circumstances in which real political dialogue can take place. While such an amnesty would not in itself be sufficient to bring about Bahrain’s reincorporation into the wider higher education community, it would at least create the atmosphere where such a re-engagement might be contemplated. You are an experienced educator who obviously knows something about Bahrain, the University situation worldwide and students. This is an admirable solution. Thank you so much, Linda. Your appreciation means a lot.